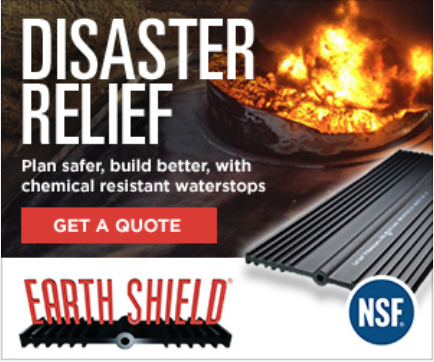 Earth Shield JP336L Retrofit System — JP336L is designed primarily for non-moving construction joints, although it can handle limited joint movement due to the mechanical properties of the parent material. A primary advantage of JP336L is that the fastening leg on the waterstop can be field-trimmed to 1-1/2” — the size of the stainless steel batten bar. 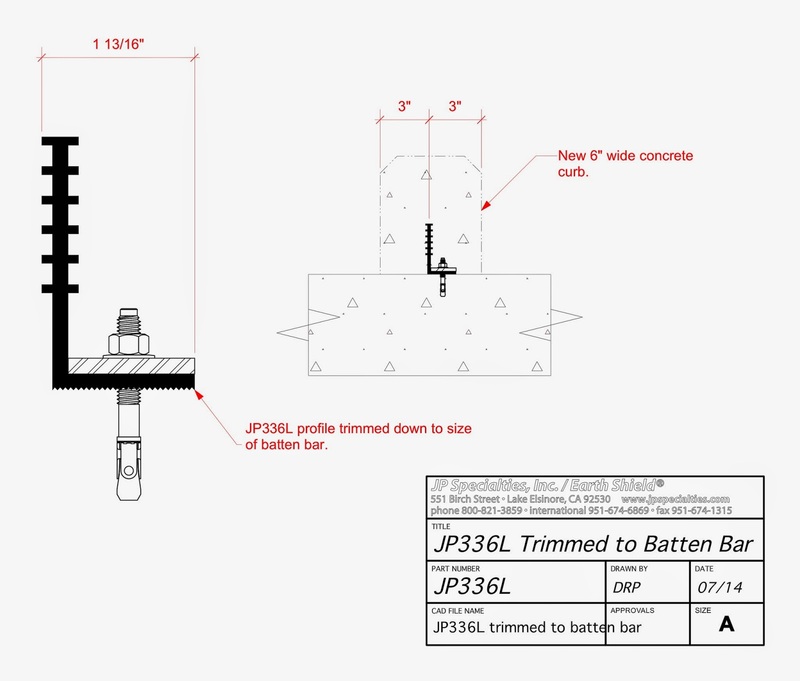 Therefore, JP336L takes up very little room within a joint making it perfect for retrofitting thin slabs or containment curbs. 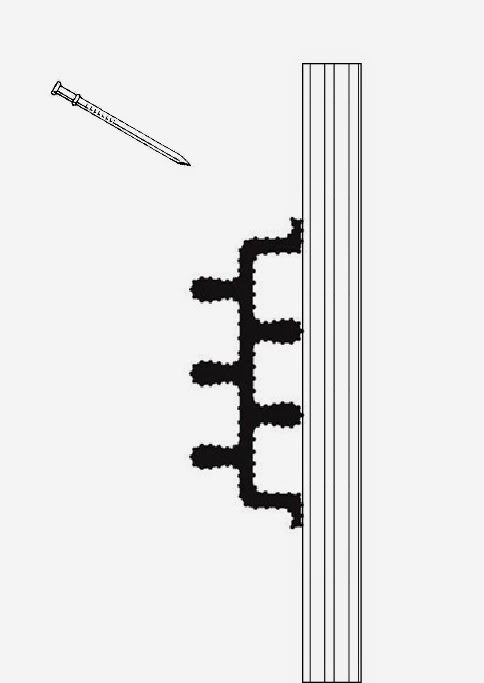 Labyrinth waterstops are double-headed nailed to the formwork; therefore, obviating the need to split the formwork to accommodate one half of the waterstop. Because of their keyway-like shape and multitudinous miniature ribs they do an adequate albeit not stellar job of preventing the passage of water through non-moving construction joints. Because of their non-symmetrical geometry they are very limited in regards to changes of directions.